Coloradans' affection for Grammy Award-winning band Mumford & Sons has resulted in a third concert at Fiddler's Green this summer. The British alternative rock band now will play Saturday, Aug. 17 at Fiddler's Green Amphitheatre, in addition to its sold-out Aug. 15 and 16 shows. Tickets are $40 to $100 and go on sale at 10 a.m. Friday, Aug. 5. Call 888-929-7849 or go online to axs.com. Mumford & Sons will play songs from their four albums, including their debut record, 2009's "Sigh No More," and their latest, last year's "Delta." Hit singles include "Little Lion Man," "The Cave" and "I Will Wait." 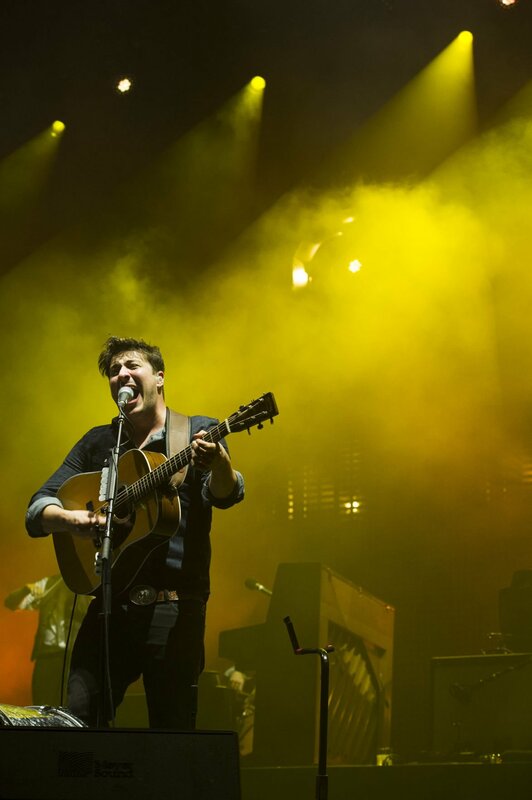 Mumford & Sons will have three different opening acts for the Fiddler's Green concerts: Lord Huron on Aug. 15, Tennis on Aug. 16 and Milk Carton Kids on Aug. 17.